Get easy Flat-Price In-Shop Services! Mad Dog Computer doesn’t believe in charging you and charging you and charging you when you bring your computer in for service. That's why we created Flat-Price In-Shop Services. Our Flat-Price In-Shop Services are charged for most of our in-shop work, so that you know what your preliminary estimate is going to be when you leave the shop. If additional problems are found during your initial diagnostic service (i.e. a failing hard drive when your computer was brought in for a tune-up), the preliminary estimate will change. It won’t be a shock for you though because, before we ever exceed the preliminary estimate you were given, we will call or email you to discuss the problem and the remedies and get your approval to continue with any of our services. See how easy our flat-price in-shop services are? The only services which we perform in-shop on an hourly basis are a) services which we don’t commonly perform and b) data-recovery which is charged based on how much needs to be recovered, how hard it is to recover it and what type of media you want to recover your information to. 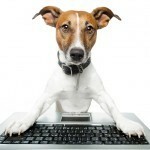 Call Mad Dog Computer for your expert Portland computer repair and Flat-Price In-Shop Services at 503-922-1599. We promise to give you quality service at a price that is both competitive and reasonable! We serve the entire Portland Oregon metro area.